—The first definitive overview of the Tonalist movement-the crucial but long-misunderstood missing link in the evolution of American art —An indispensable reference for museums, artists, and academics, covering some 50 artists, with many never-before-published works This groundbreaking book details the development and importance of Tonalism, starting with La Farge, Whistler, and Inness in the late 1800s, through its influence on the development of modernism in the Stieglitz Circle, on to Milton Avery, the Abstract Expressionism of Rothko, Gottlieb and Newman, and finally, postmodern Tonalists like Wolf Kahn. 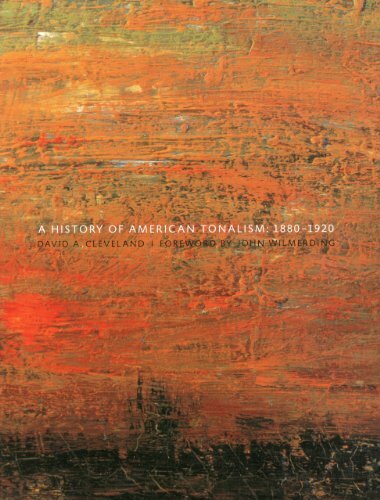 Challenging standard notions of American art history, and tracing the origins of modernism in America back to the late 1870s, this tome argues Tonalism is the driving force in the development of a distinctly American vision, reflecting abstract and spiritual impulses that remain a force in American art today. Through its imagery, scholarship, and a narrative that incorporates the voices of long-overlooked artists, critics, and writers, this volume will serve as an indispensable guide to the cultural history of turn-of-the-century America. David Adams Cleveland is a novelist and art historian. His latest novel, Time's Betrayal, was awarded Best Historical Novel of 2017 by Reading the Past. Pulitzer prize-winning author Robert Olen Butler call Time's Betrayal, "a vast, rich,endlessly absorbing novel engaging with the great and enduring theme of literary art, the quest for identity." Bruce Olds, two-time Pulitzer nominated author, described Time's Betrayal as a "monumental work . . . in a league of its own and class by itself . . . a large-hearted American epic that deserves the widest possible, most discriminating of readerships." In summer, 2014, his second novel, Love's Attraction, became the top-selling hardback fiction for Barnes & Noble in New England. Fictionalcities.uk included Love's Attraction on its list of top novels for 2013. His first novel, With a Gemlike Flame, drew wide praise for its evocation of Venice and the hunt for a lost masterpiece by Raphael. His most recent art history book, A History of American Tonalism, won the Silver Medal in Art History in the Book of the Year Awards, 2010; and Outstanding Academic Title 2011 from the American Library Association; it was the best selling American art history book in 2011 and 2012. David was a regular reviewer for Artnews, and has written for The Magazine Antiques, the American Art Review, and Dance Magazine. For almost a decade, he was the Arts Editor at Voice of America. He and his wife live in New York where he works as an art adviser with his son, Carter Cleveland, founder of Artsy.net, the new internet site making all the world's art accessible to anyone with an internet connection. More about David and his publications can be found on his author site: davidadamscleveland.com. Cleveland, whose writing is both elegant and accessible, gives the Tonalist discussion a shot of energy...This wonderfully written book will delight general audiences and scholars alike. Summing Up: Highly recommended. CHOICE: Current Reviews for Academic Libraries.